S.E. Shires Co., founded in 1995, builds custom brass instruments (trombones and trumpets). It is our distinct honor to have created the maker’s mark which is engraved into the bells of the instruments they build. We are thrilled to have participated in some small way in these works of art which will be in the hands of great musicians for generations to come. 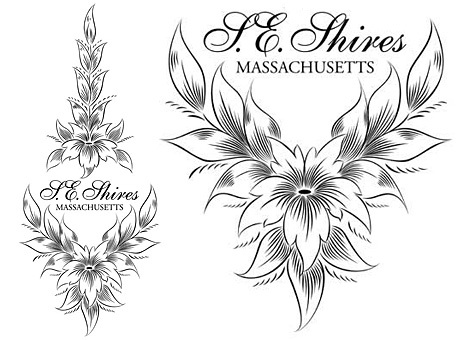 Shown are both a full view and a detail view of the lower portion of the maker’s mark.